Tesco is Britain’s largest supermarket by turnover and number of stores, Tesco was founded in 1919 and has expanded worldwide with a large presence in Hungary, Malaysia, Thailand and Ireland. It is second only to the USA’s Walmart. There’s bound to be a Tesco near you, and you probably know where it is – but just in case you don’t – check here for stores. Where can I check my Tesco giftcard balance? Unfortunately, Tesco’s giftcard store have withdrawn the online balance check facility (last checked March 2019). We don’t know when or if this will be reinstated but will update this page with any news. Meantime, it is possible to check your Tesco gift card balance using one of the alternative methods listed below. You can ask for your balance by presenting your card(s) to the customer services desk at any Tesco store. If you use your Tesco gift card in-store, the balance remaining on the card will be printed on your till receipt given at the end of the transaction. You can check your available balance by calling Tesco on 03450 757 757. Normal geographic rates apply to this number, and it will be included in your mobile calling plan minutes if you have any. Press option ‘1’ to obtain your gift card balance, followed by the full 19 digit card number when prompted. Checked by our team March 2019. Where can I buy a Tesco gift card? You can pick up a Tesco gift card at any Tesco store. Tesco’s own online gift card store is now closed (January 2019) however if you’d like to buy a card online or send as a gift, Voucher Express sell Tesco Gift Cards online here. 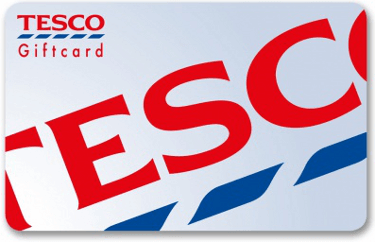 Tesco Gift Cards cannot be redeemed in Tesco petrol stations, either for fuel or for other goods.